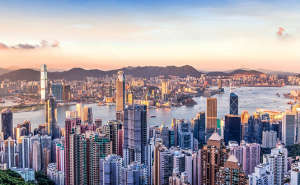 Weeks after cementing a Vietnamese tie-up, Taylor Wessing has launched a Hong Kong office, by entering an association with a local firm to expand its presence across Asia. The firm has teamed up with Hong Kong firm HM Chan & Co, a firm that provides advice on corporate, M&A, capital markets and regulatory matters. The latest addition to Taylor Wessing is its 33rd office worldwide, with the firm now operating in 20 jurisdictions across Europe, the Middle East, Asia and the US. German corporate partner Jakob Reimenschneider will relocate to the Hong Kong office to head up the new Taylor Wessing branch. 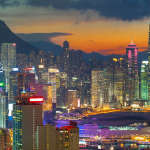 Taylor Wessing UK managing partner Tim Eyles said Hong Kong was ‘the natural next step for our growth’. The firm said the new association would help complement Taylor Wessing’s international sector strength across technology, media and communications, life sciences, private wealth and energy. HM Chan & Co managing partner Mark Chan said: ‘Taylor Wessing is a quality operator and my team and I look forward to working with Jakob to provide our clients with a formidable international team. Taylor Wessing’s Singapore-based office RHTLaw Taylor Wessing recently completed a tie-up with Vietnamese firm PBC Partners, adding two new offices to the firm’s Asian offering. The firm has also furthered its international presence with an association in the Middle East. In May, Taylor Wessing officially entered an association with Alsumlaim Alawaji & Partners Law Firm in Saudi Arabia. The local firm has offices in Riyadh and Jeddah.